It’s that time again! Let’s come together to clean up and beautify our Tabernacle home. 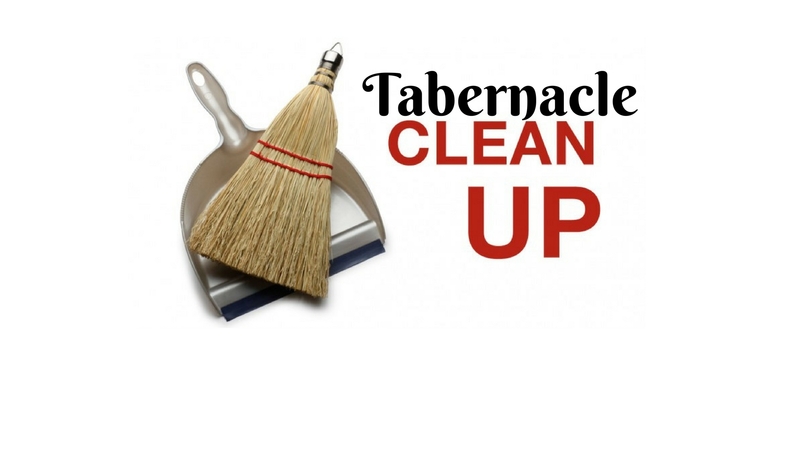 On July 29th we’re looking for volunteers to sign up for an area of the Tabernacle to clean. The meeting time will be 8am, please see Sis. Shemiyah with questions or sign up on the clean up list in the Tabernacle lobby. Thanks sisters/brothers for helping out! Shalom! thank you for the pizza!! Happy to have been a part of this good deed.